Jeffrey retired from a career in journalism and editing in October, 2016 to pursue his passion for acting. - Short film - 'Invisible' - support role of the Doctor - directed by Gemma Murphy. - Theatre - 'The Sum of Us' - lead role playing Dad - Creswick Theatre Company. - Short film - 'Crane' - support role playing the Doctor. - Theatre - 'Michael and Phillip Are Getting Married in the Morning' - support role of Graeme - reprise for Midsumma Festival. - Music video for US singer Rowlan - 'Hold it Down' - support role playing a father with dementia. - Short film - 'When I go' - playing The Interviewer. - 'The Privatization of Ward 9B' - black comedy/absurdist play at La Mama Theatre Melbourne - sold out season - Catfish Productions - playing two roles - Mr Prickett and Mr Ogal. - Absurdist web series 'Trough' - supporting role 'The patient'. Directed and produced by Thomas Johnston and Pat O'Leary. - 'True Story' - Hamish and Andy - TV series - featured as a tennis official. Directed by Andy Lee. - 'Resistance' - short film - VCA Film and Television - supporting role Ivor. Directors: Edward Hartely and Vanessa Cox. - 'Me and My Friend' - theatre drama/comedy - Hobo Playhouse - lead role of Bunny - final leg of a tour to Maldon, Victoria. - 'Picnic at Hanging Rock' - TV series - featured role of a gardener. Freemantle Media and Foxtel. - 'Capricious' - short film - RMIT Film and Television - supporting role Edmund. Directors Emily Daly and Georgia Fitzgerald. 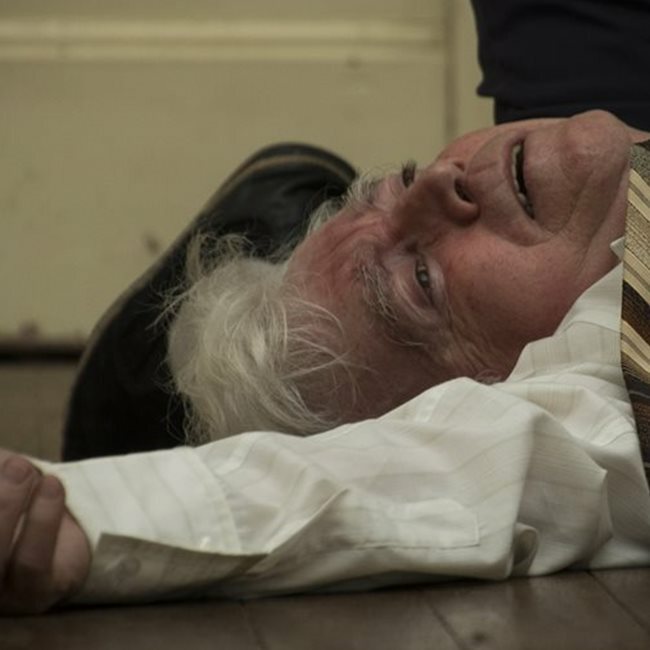 - 'Imagine' - short film - Deakin Film and Television - supporting role of Grandpa. - 'The Quarry' - feature film - Blue Lotos Productions - Voice Over - playing the Newsreader. - 'The Thing About Betsy Bloom' - short film directed by Benny Goldman - AbbaDo Productions - supporting role of Fred. - Corporate Training Video - Visual Culture - playing an insurance broker. - 'Five Ways to Wellbeing' - TV Commercial for Royal Melbourne Hospital - playing an extra. - 'Confession' - short film directed by Tanner Stevens - supporting role of the Priest. - 'Chameleon' - short film directed by Leonardo Pizarro - supporting role of Leo. - Corporate Video for Royal District Nursing Service and RSL Care - supporting role grandfather. Directed by Dave Mallen. - Photo shoot for Absolute Health Care - featured - a patient. Produced by Lauren Bradley. - Photo shoot for the Salvation Army Christmas campaign playing a male client. - Online commercial for Friendsurance - supporting role Grandpa. Produced by Bengar Films. - 'Bark' - short film - featured role - directed by Tim Teng. - 'Michael and Phillip are Getting Married in the Morning' - comedy/drama at Gasworks Theatre - 2017 Melbourne Fringe Festival - supporting role Graeme - Fred the Alien Productions. - 'Rex's Blues' - short film - lead role of Rex - directed by James Gorter. - 'Luna' - short film/animation - voice over playing a grumpy old man - directed by Lincoln Glasby. - 'Air Your Dirty Laundry' - supporting role of Ben - directed by Maggie Brittingham. - 'Precious Memories of eight nursing home residents' - voice over - directed by James Gorter. - 'Josh' - short film - supporting role of older Josh - directed by Robert Hess. - 'How to Iron a T-Shirt' - playing a depressed old man in a fashion installation - directed by Shannon Green. - 'One Last Leaf' - playing lead role of George, a hospital cleaner - directed by Benny Goldman. Jeffrey was awarded a scholarship to train in Method Acting at the Actors Mill in St Leonards, Sydney for three years. He graduated in 1981 with a Diploma of Acting, which was presented to him by Ruth Cracknell. Jeffrey went onto act in commercials for Smiths Lites Chips (as a flasher) and Streets Ice Cream (a paddle pop and the Paddle Pop Lion) plus extra work on television series of the day and a corporate film. 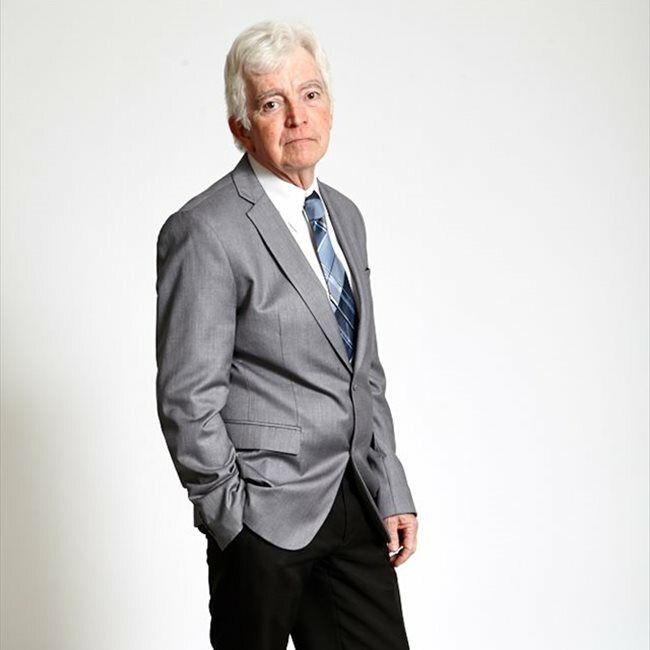 In 1987, Jeffrey moved to Melbourne and embarked on a career in journalism and over the next 28 years became a successful reporter, editor and Chief of Staff. During this time, Jeffrey kept his interest in theatre alive by acting in The Sum of Us (Dad), Cosi (Roy) and Me and My Friend (Bunny). He also directed comedies, dramas and a musical comedy, several of which were presented at the Melbourne and Adelaide Fringe festivals. Jeffrey started Stage Whispers Performing Arts Magazine in 1991 and co-founded the Lyrebird Amateur Theatre Awards in 1993. February, 2017 - 'Glitch' Series 2 - ABC TV - playing the Mayor of Yoorana - directed by Emma Freeman. March, 2017 - 'True Story' - Hamish and Andy - TV series - playing the role of a tennis official. Directed by Andy Lee. April, 2017 - 'Picnic a Hanging Rock' - playing a gardener. A Freemanle Media production.